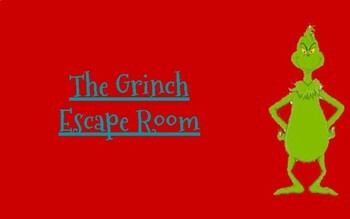 Can your students help save Christmas from the Grinch? There are three activities for the students to solve: sequencing, multiplication facts, and simile/metaphor identification. Students will click on the different pictures and solve the puzzles that are in Google Sheets and Google Slides, then enter them into a Google form on the website. Once they have completed the form, they have helped save Christmas!